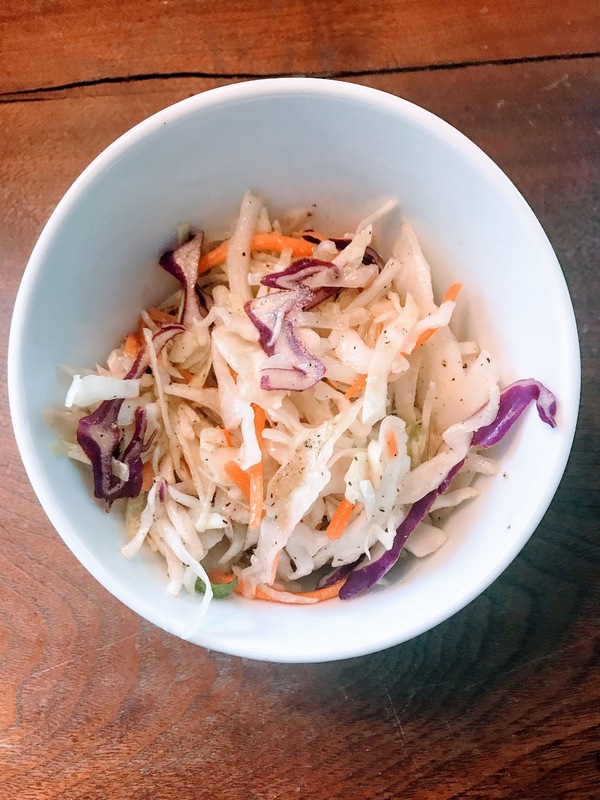 Sweet and Sour Slaw – WellPsyche. Beyond. This slaw is crunchy and sweet and tangy all at once. It’s delicious on BBQ Jackfruit Pulled “Pork” Sandwiches as well as on tacos, nachos or anything else your heart desires slaw on. And it takes about 2 minutes to whip up. That’s what I call a win! Combine cabbage in a bowl with juice of one lemon, 2 tablespoons of vinegar and 1 tablespoon of pure maple syrup. Refrigerate for at least 20 minutes prior to serving. Pingback: Jackfruit “Pulled Pork” Sandwiches – WellPsyche. Beyond.